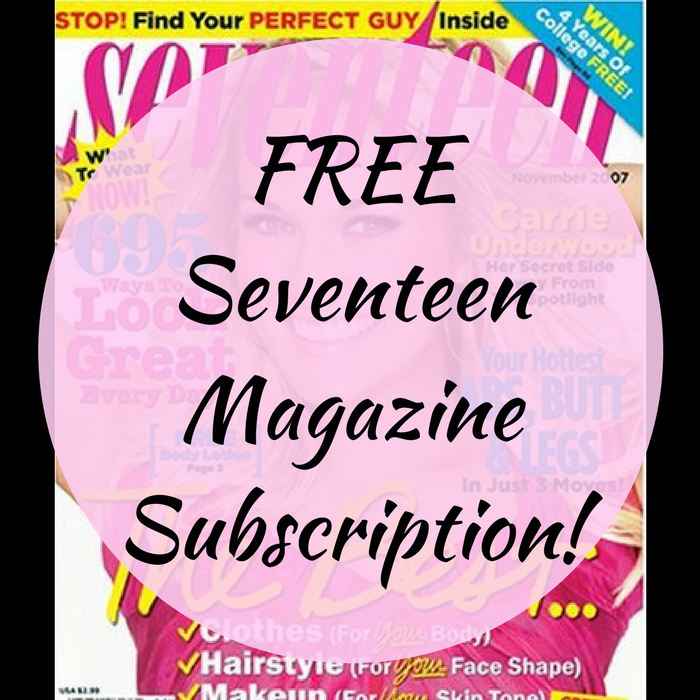 You are here: Home / FREEbies / FREE Seventeen Magazine Subscription! Here’s another great FREEbie for you! Hurry and get yourself a FREE Seventeen Magazine Subscription by just simply filling out this request form! This is a one-year subscription with no purchase required which is really awesome. Looking for more awesome subscription deals? Check out this list of the Top 26 Subscription Boxes For Women’s Beauty And Fashion!